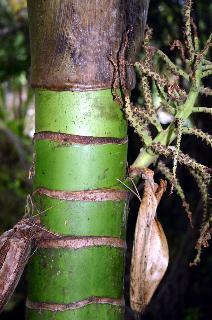 A plant of the palm family that reaches 10 metres. It occurs from North Cape to Banks Peninsula, Hokitika and the Chatham Islands. 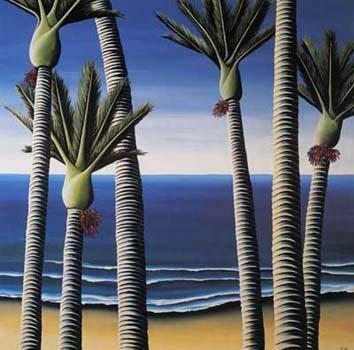 It is the worlds most southerly growing palm and is represented in many New Zealand paintings and classic iconic images. 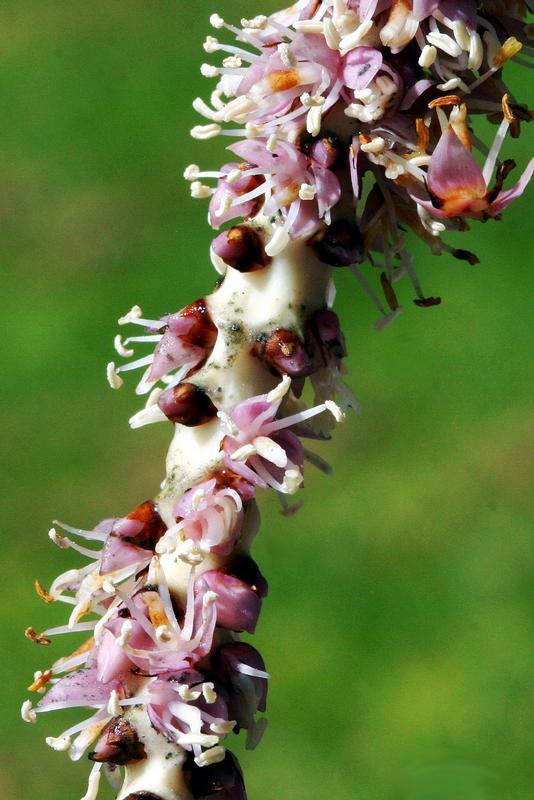 At home in any New Zealand ornamental garden. 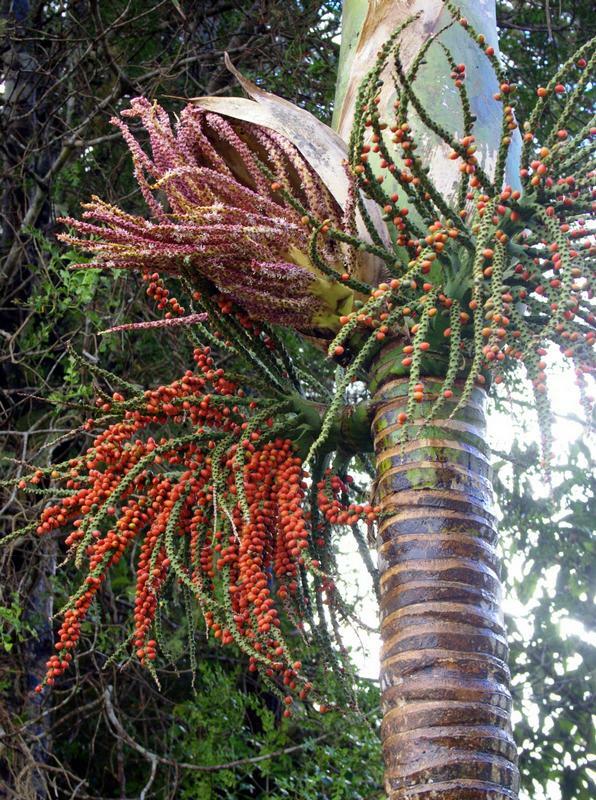 The seeds of Nikau are about 8mm tall and are bright red-orange when ripe. These should be cleaned of the flesh then placed in the top 1cm of a seed raising mix in a punnet or similar container in a warm spot. Water regularly. Don't let them dry out. Seeds may take months to germinate or sprout. I use a small glasshouse to germinate most seeds. A trick is to mix the seeds in with damp sawdust and place this mix in a plastic sealed bag in the hot water cupboard. Mix them around about once a week to add a bit of air. They may begin to germinate here. 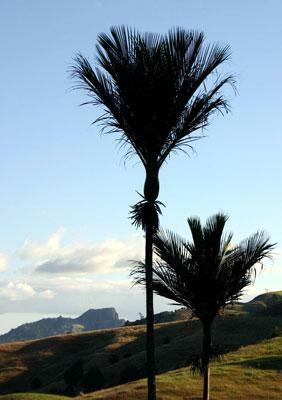 Nikau are slow growing and in a year or 2 may be only 30cm tall. As they grow they need a long planter bag or pot as they produce a long Tap root and strong lateral roots.